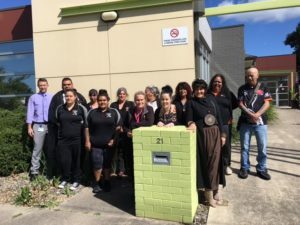 The Bi monthly Loddon Mallee Hume Regional Aboriginal Network (LMHRAN) meetings are a great opportunity for staff to catch up and talk about all things HACC-PYP/CHSP and the challenges with MAC and the DEX reporting and introduce the network to some great guest speakers and future contacts. Vicki Walker, based at Njernda Aboriginal Corporation in Echuca, is the Aboriginal Development Officer (ADO) for both Loddon Mallee and Hume regions. Vicki coordinates the LMHRAN meetings. If you would like further information about this network, please contact Vicki.